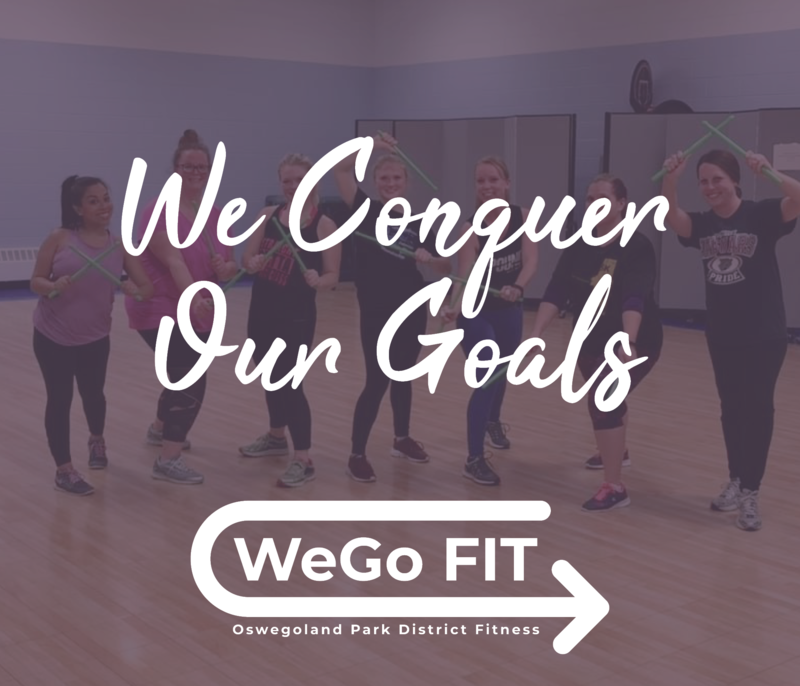 The Oswegoland Park District offers fitness classes for adults of all ages and abilities. Whether you like aerobics, strength training, kickboxing, spinning, or yoga, you’ll find a program to meet your exercise needs. For a detailed listing of classes, fees, times, and locations, browse programs online. Not sure if a fitness program is right for you? Try one class for free before registering for the full session. 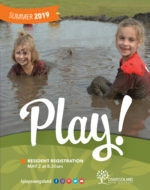 Call the Park District prior your preferred class to check on availability. Then stop by the front desk to sign a waiver and pick up your Fitness Pass. 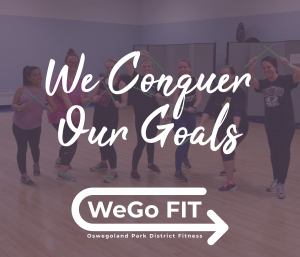 Our fitness instructors are friendly, motivating, and committed to helping you reach your fitness goals. They are also available for Personal Training and Private Fitness lessons. Learn more about our instructors here. Can’t commit to the whole session or missed our registration deadline? 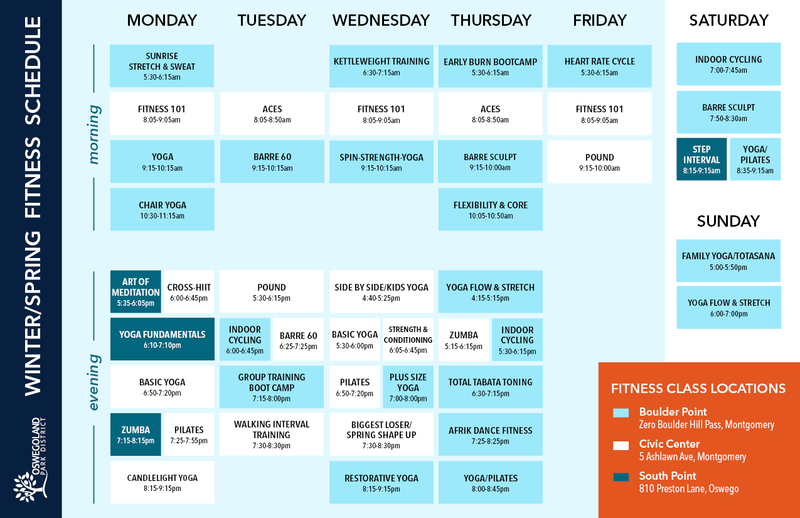 Purchase a Drop-In Punch Card at any front office and join us for six classes whenever you’re free. Punch cards are $60 and valid one year from their purchase date. If you miss a class, you may make it up for free by attending another Park District fitness class during the same session (space permitting). Call the Park District prior to your preferred class to check on availability. Then stop by the front desk to sign a waiver and pick up your Fitness Pass. Being healthy is more than just exercise! Pair a nutrition class with your current fitness regimen. Registered Dietician, Maggie Watson, offers personal nutritional counseling on weight management, disease prevention and control, disordered eating, and athlete nutrition. Maggie is also available to meet with families to develop meal plans and provide healthy cooking lessons. Take control of your health and get the guidance you need. Times are flexible. For more information about Health & Wellness programs and events, email Kristen Desler or call 630.554.4462. Do you want to take your fitness to a higher level? Need help getting there? Personal training is available through the Park District. Get a customized one-on-one workout! Need help strengthening your core muscles for Pilates? Looking to build endurance while Cycling? Register for private or semi-private Fitness Lessons to improve form, build endurance, or give a new form of exercise a try. Times for personal training and fitness lessons are flexible. Email Kristen Desler or call 630.554.4462 for more information on personal training and our fitness programs.